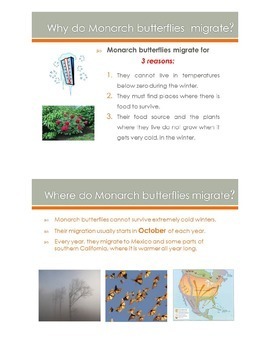 The Migration of Monarch Butterflies, for early elementary grades. 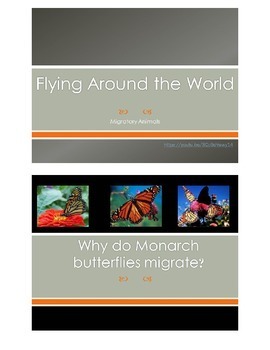 This PowerPoint provides details of the migration of the Monarch butterflies in simple terms for younger grades. This Awesome PowerPoint has animations and sounds, as well. Enjoy!! 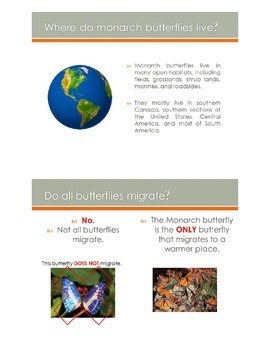 differences in living and non‐living things. 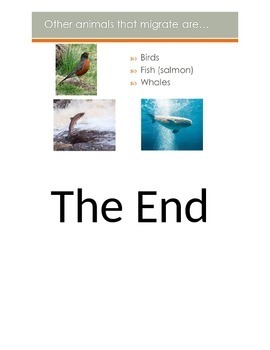 relationship of organisms to their environments. (a bird building a nest). air, water, nutrients, sunlight, and space for plants. perish or move to new locations.